The Jerk – 40th Anniversary! Thursday February 21st at 9:20pm – an I Can’t Believe You Haven’t Seen screening, presented by Embarrassing Humans! How many times have you brought up a movie you consider to be essential viewing only to hear someone say they’ve never seen it? 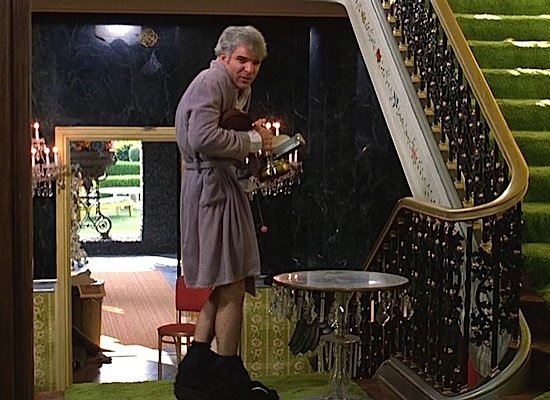 Come join us for a special one night only screening of one of the best comedy movies of all time, The Jerk! Enjoy the film in the setting it was made to be viewed in, the historic Mayfair Theatre. Bring your family, friends, and anyone who hasn’t seen the film for an experience they’ll be quoting for years. Share this classic movie with a younger generation that may never be exposed to such comedy gold. Grab a bag of the best butter popcorn in Ottawa and all the theatre candy you can carry and settle in for some laughs. Also, we will have an amazing selection of craft beer from Collective Arts Brewing to make your night out just that much more special! But wait, once the movie is over the fun doesn’t stop. Stick around for the Embarrassing Humans Live Podcast Recording (uncensored) featuring a panel discussion with local comedians who will have just watched it for the first time. Also, we want to hear from you! If it is your first time seeing the film, let us know what you thought during the discussion. So grab a drink and some popcorn, and get ready to laugh! Pre-Order your tickets online today. Seating is limited and once we sell out you’ll have to wait until our next show featuring a different classic comedy.